St. Mary’s students raised $1,205 for the Knights of Columbus Ulu Village Well project. 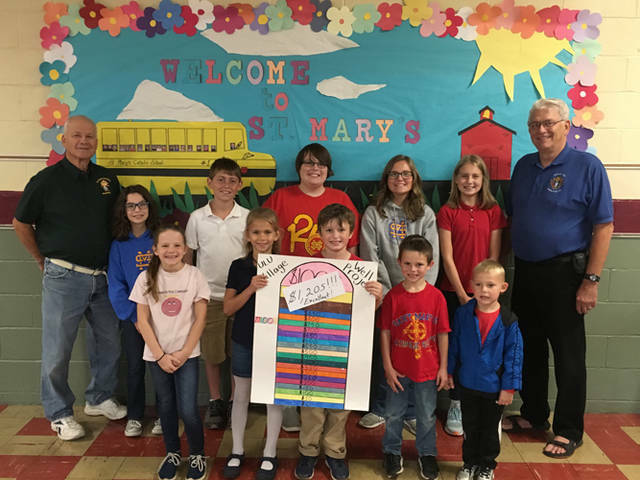 St. Mary’s students are pictured with Grand Knight Luke Staugler and Max Litke of the Knights of Columbus. Anyone who would like to donate to the project may send a check to Mary’s School, 238 W. Third St., Greenville.